The reinforced outer portions of the slot allow for a lighter, more flexible face, while the center portion of the slot increases ball speed on low-face strikes and drops spin for more distance. 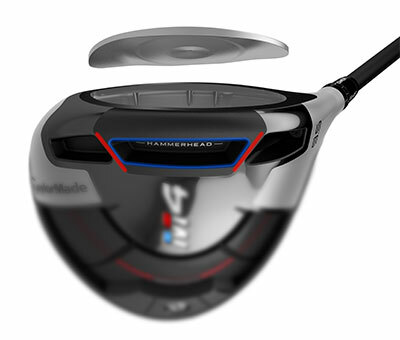 The result is a powerful and forgiving driver that delivers exceptional sound and feel. Love the feel and how the ball jumps off the club face! Great product! Do to the 3 feet of snow we have on the ground I am unable to test out this hammer. It was either getting this model or the smaller, deeper faced 440. Nothing wrong with either one. Stock shaft is excellent. Sound and feel are exceptional. I do think the twist face works-to a degree. Great for distance and forgiveness. Not as long as my M1, but still working with the settings. I hit the M4 recently in a cage at a local shop with a flightscope. Had good results. Easy to swing club. The flex face is the most appealing part of the club. Feel was average. A phenomenal club can go wrong with m3 or 4 ...long and straight!!!!! ConsNone if u can afford it!